When I began searching for the various 7 Signs of Autism articles that I remembered reading when the girls were small I came across the graphic below on Pinterest. If I had come across it when Maggie was two I would have had to pause because the list given here sounds far more like our girl than the lists I mentioned yesterday. 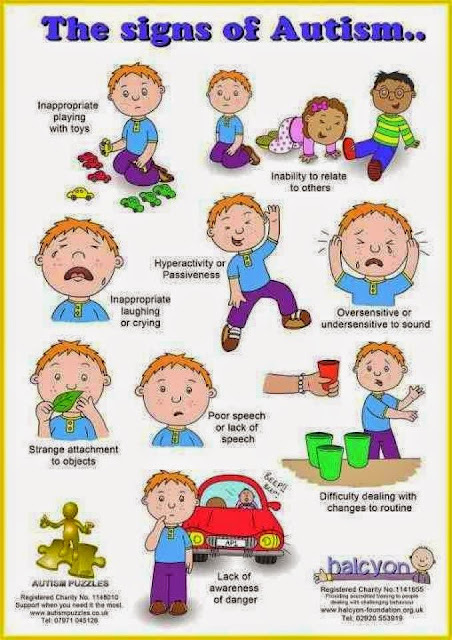 This list (with a couple of points taken out) more of less sums up the various "quirks" that I had no idea pointed towards autism before we began on the diagnostic journey at the request of Mae's doctor and I began reading everything I could get my hands on about ASD. I have a hard time with the word "inappropriate" in this one, since I often think the way she plays with toys is kind of genius, but for the point of this exercise I'll go along with it for lack of a better word that would make sense to everyone reading this. This wasn't all that noticeable, mostly because Mae usually didn't stop moving long to play with toys very often. She'd climb and dance and get into everything. She'd accidentally break many. 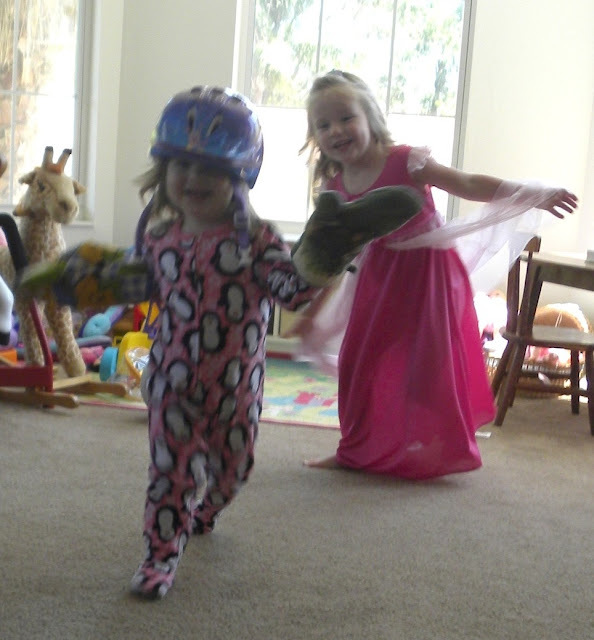 many toys and household objects as she raced around the house tumbling over anything in her path. But most of my memories of the girls playing when they were small don't involve toys. When Mae was diagnosed, one of her therapists pointed out that she was very attracted to certain small objects (usually it was something bright red that would fit in her hand). 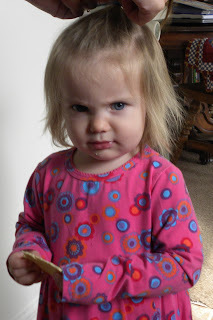 It might be a small red block from a set of blocks or a large bead from one of those bead stringing sets for preschoolers, but she would often find a small toy and carry it around in her hand all day long. She loved to find interesting objects to carry around until something new caught her eye. Nowadays her play has changed significantly. She's one of the most imaginative kids I've met, transforming a plastic box of crayons with little plastic separators into a stair case for her doll to walk up, or spilling water onto the carved top of my giant mahogany chest to make a lake for her doll to swim in. And yes, she oftentimes still finds strange little parts of toys (like the bubble hair from her Bubble Guppy doll) that she loves to carry around with her and examine. This was probably one of the most noticeable aspects of Mae's personality. From the time she could walk (and she took her first steps at 10 months) she hardly ever stopped moving. People who spent time with her who had had many children would comment that they had never seen a child with so much energy. Since her sister was also hyperactive however, it didn't really seem all that strange to me (especially since Sadie is also sensory seeking). 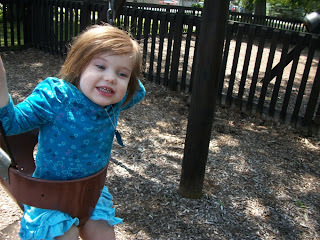 In addition Mae's gross motor skills are good, which meant she wasn't always crashing into things like her big sister. 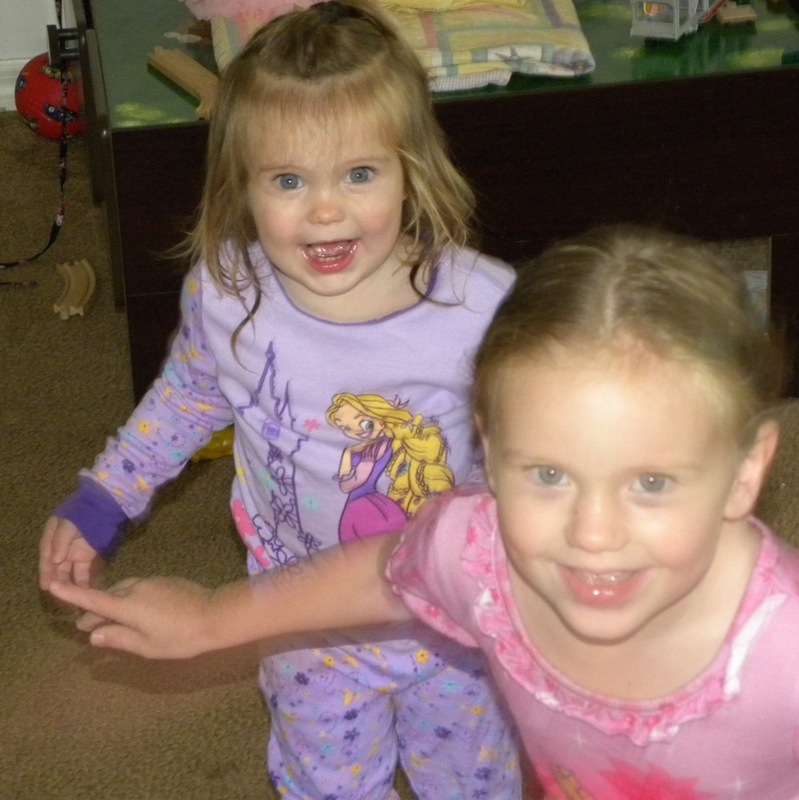 They would both run around, holding hands, twirling together and were pretty much the perfect playmates. One thing I found later on was that, like many kids who are hyperactive, when Mae has caffeine she becomes extremely calm. Apparently that calmness in response to caffeine is rather common in people who are hyperactive. But since I was trying my best to avoid caffeine for our kids, I didn't discover this until much, much later when I was trying to get Mae to take medicine and the only thing I had to mix with it was caffeinated. This was probably the biggest sign that something wasn't quite normal with our little girl. I've told this story many times, but it is truly the first time I began to worry that something was going on with her that I didn't understand. When Sadie was in Kindergarten we would do "Field Trip Friday's" where we would finish our school work at the table before Paul got home and then, when he was done with law school for the day, we would go to a museum or the zoo or do something else fun and educational outside of the house. 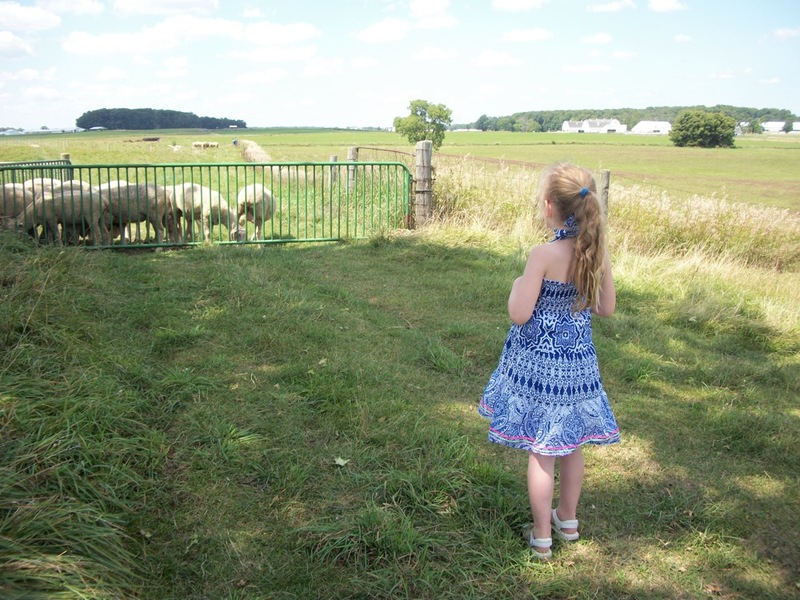 On this day we'd gone out to one of the University's livestock farms and had looked at sheep and explored the area a bit. Afterwards we drove to a park so that the kids could run around and play. I was pushing Mae and Patch in the baby swings while Paul was in the "big kid" part of the maze like wooden castle playground with Sadie. It was almost time to go and I figured that I could get them down and we would go find the other two to go home. I put Maggie on the ground and turned to get Patch. She ran straight back to the back fence behind the swings and I kept an eye on her as I struggled to get Patch's shoes out of the leg holes of the swing. Two other moms had arrived and started to push their preschoolers on the big kid swings while they chatted. I saw Maggie turn and look at them. I shouted "No! Stop!" over and over again while gesturing wildly. The mom of one of the little boys looked at me like I was maybe a little bit insane, and watched as Maggie ran towards her son. She'd never had a kid like Maggie. She didn't understand why I was so upset or that Maggie really would run straight into the swing without realizing she could be hurt. And it all happened so quickly I didn't have time to get out the words to explain. 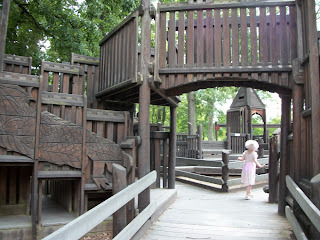 Maggie collided with the swinging child at a sprint and was thrown about ten feet across the playground. The boy wasn't hurt at all. I can still replay the moment in my mind as I watched her fly through the air, hardly noticing that Paul and Sadie had just come to get us. I knelt down next to her while the two moms looked on and said nothing. And it's at this point that I stop to say: Please. If a child is running towards your child on the swings and it looks like they might run straight into your child, please do not assume that they are going to stop. Especially if a frantic mom is chasing after them trying to stop them. She rolled over, covered in dirt and wood chips. In my mind I was certain that we were about to be headed to the hospital, and that we might be about to call 911. Instead Maggie sat up and starting laughing, hysterically. She laughed, as if she'd just heard the funniest joke ever, for a solid ten minutes as we took her over and played in the sand pit. Paul and I looked at each other, bewildered. At the time I thought that the laughter had meant that she was somehow, miraculously, unhurt. Thank heavens she really was okay and wasn't just laughing through internal bleeding. Knowing what I know now about her reactions to pain, I would have taken her to the straight to the ER, despite the laughter, because often times when something happens that's painful her reaction is to laugh. She's far more likely to cry about a small injury than a large one. Although this has made doctor's appointments when she's sick very difficult since giggling and hyperactivity (her reaction to being upset about being in the doctor's office, even when she's been sick and unable to eat and drink for days at home) cause many doctors to say "well look at her, she's fine..." and not take anything I've told them seriously. This was a major problem when she had a fever for months last year and was severely dehydrated, refusing everything I tried to get her to eat or drink for days, and then she started bouncing around the doctor's office after being lethargic and hardly able to move at home. Maybe it's rather telling that I don't think that Mae's attachment to various outfits/toys/things she's found around the house is "strange" (the apple doesn't fall far from the tree, I guess). I mean, many toddlers love certain outfits, or have a lovey, or a toy they like to bring everywhere. This is a red flag that might be a red flag or might be nothing more than a toddler being a toddler. Mae's interest of the week often changed. 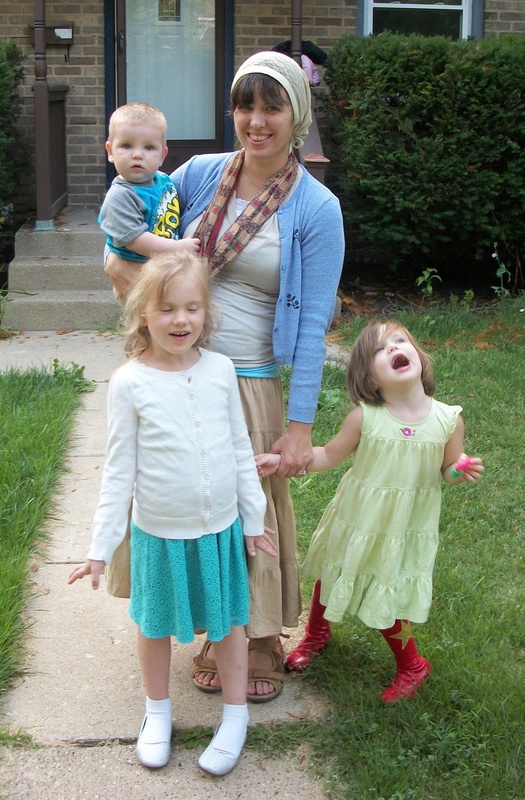 For a long time she was very attached to her red super hero boots, but later that interest transferred to all shoes. She loves pretty shoes and loves matching her shoes and outfits and is very particular about them. If she doesn't have the right shoes for an outfit, she won't wear them. She is very attached to her shoes. Yesterday we had two hours of tears because I wouldn't let her wear a pair of shoes that had rubbed her foot until it bled, unless she wore socks. The socks apparently didn't go with the outfit in her mind, and she was willing to have a bloody foot to match her dress to her gold shoes. When I said "no" and took the shoes away after she took her socks off repeatedly, she was heartbroken. I imagine that that sort of interest, which is more socially acceptable and quirky, is one of the reasons why girls with autism are far less likely to be diagnosed, than boys. After all, Mae's three big interests are mermaids (and anything else in the ocean from shells to dolphins), ballet and shoes. 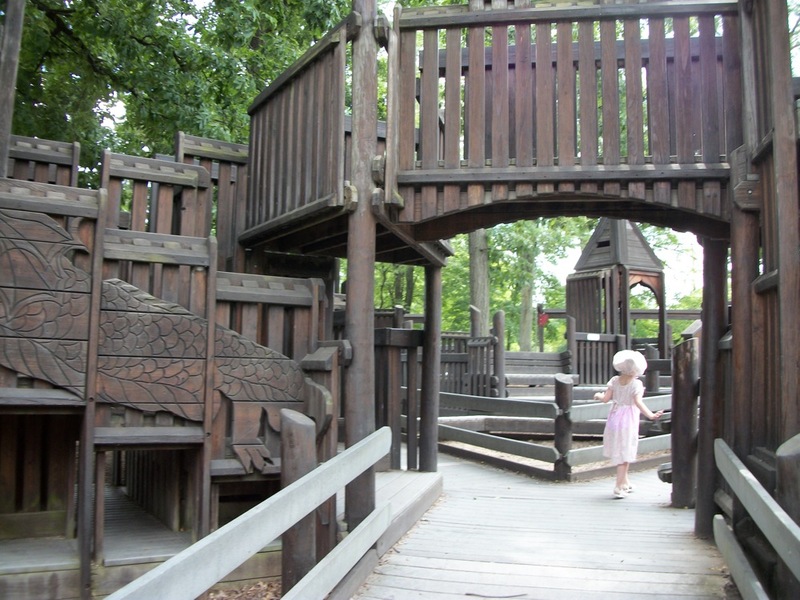 Her particular interests that are far more socially acceptable (and will continue to be for quite a while) than certain interests that boys have (maybe trains or dinosaurs) that people begin to see as odd when they persist beyond the preschool years. A study out of UC Davis that hit the news cycle yesterday found that the girls with autism that they studied were actually further away in the measures they used from typically developing girls than the boys with autism were from typically developing boys. Yet girls are generally far less likely to be diagnosed (I know there are some awesome posts out there by bloggers who are on the spectrum on this topic, but I was having serious trouble finding them! If anyone has a post you love on the topic please share it in the comments), possibly because autism often looks different in little girls than it does in little boys and the tests are based on how it presents in little boys. In most areas Mae is a sensory seeker (that is to say she's under sensitive). This applies to sound (if she's making it). And light. And pain. And pressure. And flavor (she's my only child that likes food as covered in hot peppers as I do). And proprioceptive input (input for her joints). The slide incident mentioned above pretty much sums this one up. The other giant, frightening red flag was the fact that she was totally okay with heading out on her own, and wouldn't even glance back to see if we were following her. 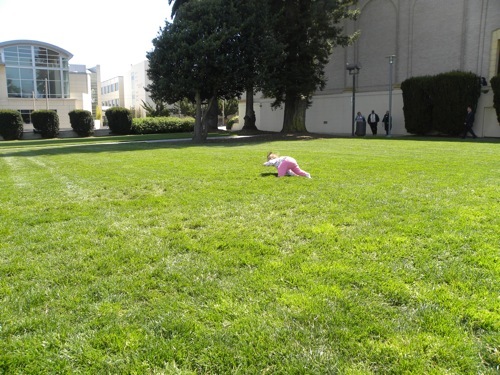 When we were at Paul grad school graduation rehearsal I was sitting with her outside in an unfamiliar setting on a huge lawn when she began to crawl away from me. I watched her to see what she would do. She crawled quite a distance before beginning to circle back around, never once glancing back to see if I was with her. 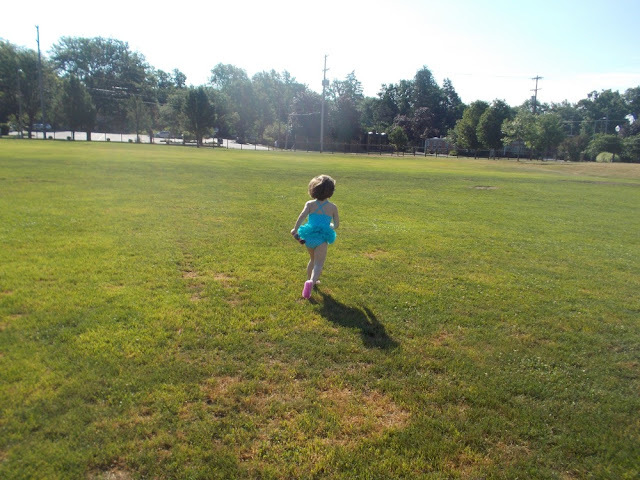 Later when she began walking and then running she would head off in one direction, enjoying the feeling of running, without any concern that she might be by herself. I'd watch as she ran across a field, never once glancing back over she shoulder to see if I was with her. It is, undoubtedly, the most nerve wracking part of being her mom. Everything else I can handle. The wandering is the only thing that really scares me. These days there's around a fifty percent chance that she might stop if I tell her to. And at least I have Sadie to help me catch her now. And that more or less sums up what we saw with Maggie when she was small that we had no idea pointed towards the fact that she's on the spectrum. Shortly before her diagnosis I did come across the MCHAT (a test the indicate whether or not a toddler may be on the spectrum) and I took it online and was told to contact her doctor (and I did fill out a referral form for the local school district who never responded or contacted us). But after years of reading about the common signs of autism that I mentioned yesterday, I wasn't really concerned despite the results, because she didn't fit the picture of autism stereotypes that were really all I knew about ASD. I so understand how tricky it can be finding where your child fits in relation to Autism. I have 3 currently diagnosed with Autism, whilst they definitely have Autism none of them fitted neatly into signs and symptoms. Autism expresses itself uniquely in each child. It has been most difficult to puzzle this out with my daughter as the 'typical' signs are based on boys. I found the articles about girls and autism on the following website most useful in understanding girls and autism, if you click on the articles you can download them in full http://www.taniamarshall.com . Below are some I found particularly handy, although they may not apply to Mae just yet.